It can be quite surprising how much of an impact a rug can have on your home, changing the look and feel of a room as soon as it’s put down! With an increase in wood or hard flooring in the home, a rug is the next priority item for you. So now you know you need a rug and you know what style you want, how do you go about choosing the right one for your home? Keep reading for our tips on how to find the right rug size. Perplexed by what size a rug should be for a given room? 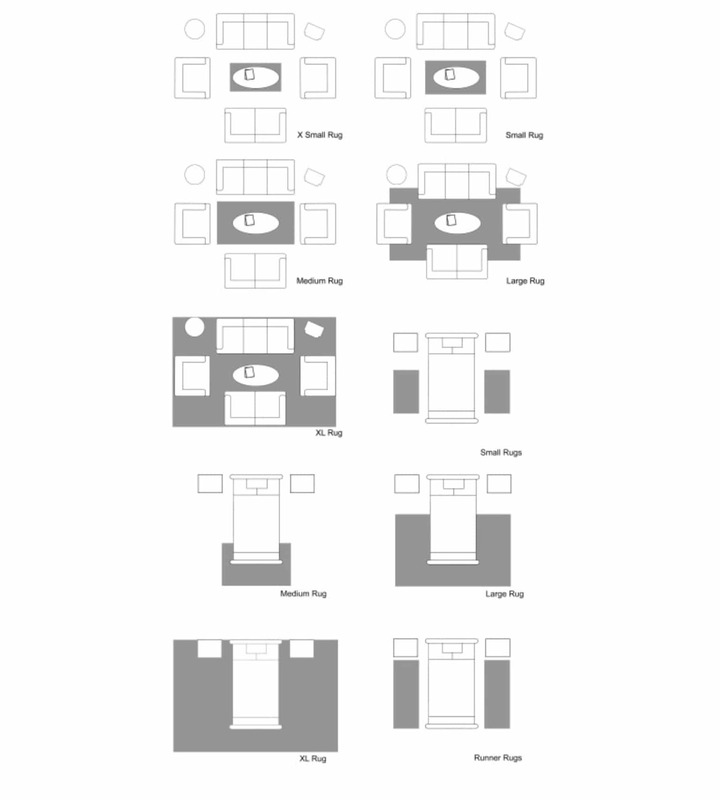 Don’t be, there is no right or wrong answer but the diagrams below will give an idea of the different sizes that may work for your space and the different styles that can be achieved with varying rug sizes. One thing is for certain though, ALWAYS MEASURE YOUR SPACE before purchasing a rug and double check your measurements! Would you like to unify an area or define multiple spaces? The guide below looks at both small rugs that cover individual elements of furniture and large rugs that tie elements together. These days, many modern interior designers are swaying toward having the rug cover the floor under all furniture in main living quarters.